In the past, an enterprise IT team was viewed as a group of firefighters employees could call on when they had a problem. When issues with new technology arose, the IT team would spring into action and put out the fire before it became a widespread challenge across the organization. While this idea of the IT department as the “fixers” of the company may be somewhat true, IT employees are capable of doing so much more than simply solving computer mysteries and ceasing problematic processes. Nowadays, enterprise IT teams are more essential than ever, especially as new technological systems and strategies are continually introduced into business infrastructures. These solutions – including Talari’s Software Defined THINKING WAN – aren’t just beneficial for employees and managers, but serve to put the IT department in a position where they can make invaluable and innovative changes in the company and get out of the mode of crisis management all the time. A recent report from Accenture found that today’s enterprises now rely on technology more than ever within their organizations, making internal IT teams an essential part of day-to-day operations. In fact, the study, which included 2,000 senior administrators across 15 countries, found that 90 percent of participants expect technological systems to transform the way their enterprises do business. And these changes aren’t expected to slow anytime soon – 87 percent also noted that their firm had made considerable progress toward adopting new technology in the last year. These solutions can have quite the impact on an organization and its IT team in particular. For instance, a Software Defined THINKING WAN from Talari can significantly change the way the IT team operates, enabling these employees to become the movers and shakers of the enterprise by freeing them up from some of the constant problems that once took place before the solution was deployed. One issue that often creeps up in enterprise technology is a performance problem in connection with critical applications. These apps are the lifeblood of a business. If they don’t work as they should due to latency, jitter or other issues, the IT team would be called in to remedy the situation. However, with Talari’s THINKING WAN in place, the IT team is free to focus on other mission-critical projects as the solution effectively measures packet loss, availability, latency and jitter for each path in the WAN, ensuring that traffic from critical applications is prioritized and uses the best path possible. This makes manual reconfigurations a thing of the past, allowing the IT team to begin new initiatives, research new technologies and be change-makers in the organization. In the past, the IT team might have been viewed as the naysayers, or the group that would continually tell managers and other employees that certain projects or tasks were simply not possible. However, with Talari’s THINKING WAN in place, many of the no’s from the past can now become yes’s. Talari’s THINKING WAN can ensure that the IT team has the time and tools needed to support important initiatives like deploying an application or getting a remote office up and running more quickly than ever. The Talari solution establishes an intelligent, thinking WAN that is not only more efficient and optimized, but adaptive and responsive as well. This helps streamline the process of application deployment or branch office setup by providing a robust foundation for all IT processes. 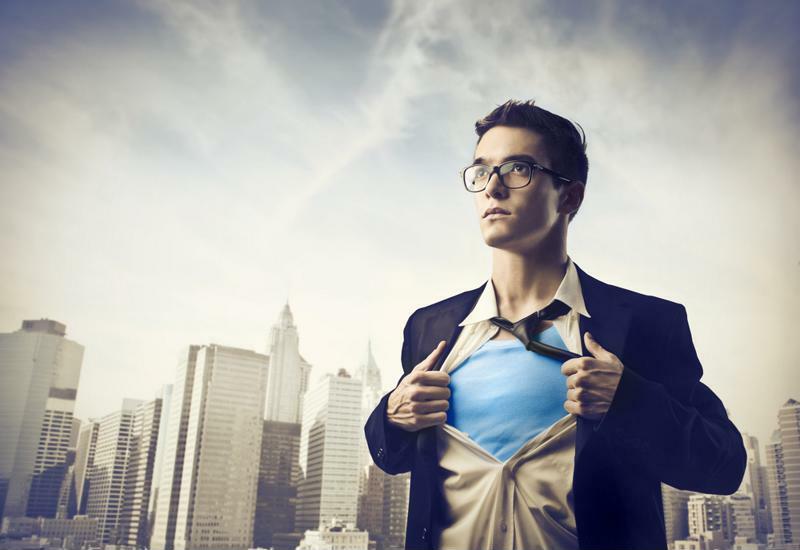 Make your IT team the superheroes of the company with a robust, effective WAN. And while the solution frees up the IT team from having to make manual adjustments, this does not mean administrators and engineers are in the dark when it comes to the state of their network. Talari’s THINKING WAN enables real-time views of current network conditions in the most granular means possible – for each packet and path in the WAN. Talari’s technology takes care of the heavy lifting, allowing the network to make the best choices for every packet traversing the network. Best of all, Talari’s Software Defined THINKING WAN can ensure top-tier performance and availability in almost any WAN environment, including those based solely on MPLS or Internet links, or those that leverage a mix in a hybrid configuration. With a Talari solution in place, the IT team can become much more than a reactive team of firefighters. Empower your IT team and boost your business’ success with Talari. To find out more, schedule a custom demo today.